With millions on the brink of starvation worldwide, finding a secure way to help might be easier, and more enjoyable, than you think. International headlines are becoming more and more heartbreaking with continued news of Syrian refugees fleeing war atrocities, new updates from the African countries of Sudan, Somalia and Kenya where 20 million people are starving or on the brink of starvation, and the reeling aftermath of flooding in Columbia. Images of starving, injured and even abandoned children and their families are enough to bring even the toughest person to tears. How can we possibly help? While you or I might not have the means to fill a cargo plane with food and supplies to help feed, clothe or comfort millions of the world’s starving and struggling people, there are amazing charitable organizations that can. The trick is to find those organizations that are safe, secure and will ensure that your donations will be delivered. Following are three organizations that are doing just that, making the donation process easy, trustworthy and even fun. Like many people, I own a DVR for the express reason of skipping all those commercials on my favorite recorded TV shows. But, after discovering the charitable website AdWap, or Advertising With A Purpose, I now find myself watching commercials and actually enjoying it. The best part is that for every 10 commercials I watch, only five minutes a day, I am actually donating money to charity. Because AdWap believes people should be able to support their favorite charities without actually having to pull out their pocketbooks, this site takes advertising dollars from well-known companies and gives those dollars a purpose. “It takes the usually annoying task of watching an ad and gives you an incentive to keep watching,” according to the website. So, for instance, I set up an AdWap account so I could donate to one of my favorite charities, Feed A Billion. There are dozens of charitable options available. Each day I log into my account either through the app on my smartphone or the website and watch 10 commercials. I can watch all 10 in one, 5-minute sitting, or break it up throughout the day. I just need to click the “Give” button within five seconds of watching the commercial for it to register as an official donation. Once I’ve watched all 10 commercials, I can actually view my financial impact. So what does this mean for the charity? In the case of Feed A Billion where a 10-cent donation equals one meal and one commercial watched on AdWap equals 3 cents, one 10-commercial viewing session translates into three meals donated each day. If you consistently spend 5 minutes a day for a full month, you can provide upwards of 90 meals. With a goal of 300,000 donations over the next month, Feed A Billion and AdWap are hoping to provide 120,000 meals. Added bonus: Each commercial I watch also enters me into a daily drawing for prizes. The more consistent I am in watching videos each day, the more money I’m able to donate and the more chances I could win a cool prize. I am an admitted shopaholic. I love shopping and it doesn’t matter if it’s searching for bargains at my favorite stores, or if it’s in front of the computer at home. Shopping is something I really enjoy. So it’s no surprise I was intrigued with a way to shop for a charitable cause. Lifting Hands International, a non-profit agency working directly with refugees, has devised a fantastic way for anyone to donate much-needed supplies for those people who were forced to flee their homes, leaving everything behind. By logging on to the Lifting Hands International’s Amazon registry, I’m able to shop for household goods, clothing and personal hygiene items. With most items ranging in price from $10-$30, I can fill up my “cart” with a number of much-needed items, all based on my budget. With two different lists — the Phoenix Resettlement and International Humanitarian Aid lists — Lifting Hands International is able to customize the types of items needed for specific regions. For instance, the Phoenix Resettlement registry features items like teapots, mixing bowls, irons, alarm clocks, bakeware, and even furniture. The international registry expresses needs for coats, long-sleeved shirts, underwear and even diapers. Never has shopping been more rewarding! Ikea and EROS hosiery wholesale also feature registry lists for Lifting Hands International, providing additional shopping options. Why not spend $20 and provide 10 refugees with brand new pillows? Added bonus: Items on both Amazon lists are Prime products, which means 100 percent of your monetary donation goes to the products needed, not shipping and handling fees. If you are a reluctant charity donor because you’ve heard of too many charity scams, there are companies out there designed to educate you on a specific charity before you make a donation. GuideStar is designed to evaluate existing nonprofits, helping donors make the best decision for their charitable dollars. Think of it like a Better Business Bureau for charity organizations. GuideStar has analyzed thousands of America’s charities — some well known like the Boys & Girls Club of America and some lesser known like the literacy charity Better Basics. GuideStar was established to “revolutionize philanthropy by providing information that advances transparency, enables users to make better decisions, and encourages charitable giving.” If you are researching a particular charity, simply search for them on the GuideStar website. Information provided includes each nonprofit’s mission, legitimacy, impact, reputation, finances, programs, transparency, governance, and more. Added bonus: GuideStar assists potential donors through the entire donation process, educating you so you “give with your head as well as your heart.” Through five simple steps, you will be guided through a process to ensure you make the best choice for your generosity. 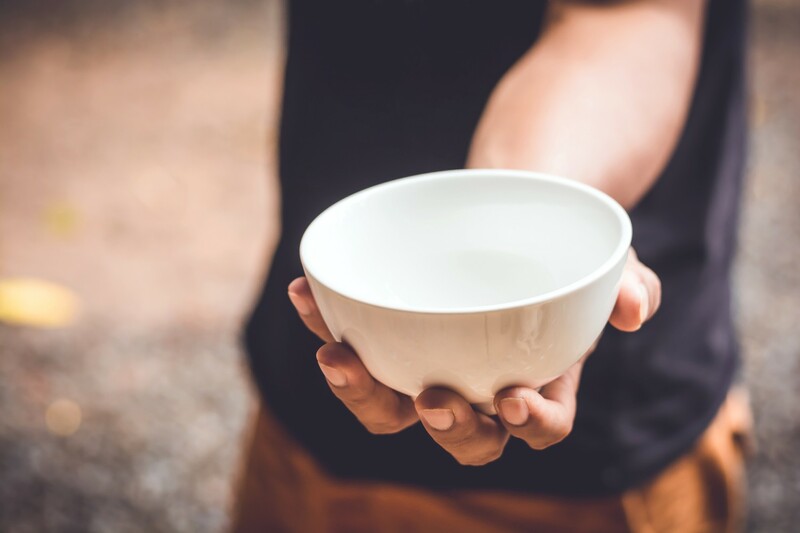 If you are a little trepidatious about donating to charity, consider these three fun, safe and effective ways to help alleviate at least a portion of the pain, hunger and need being felt throughout the world today.